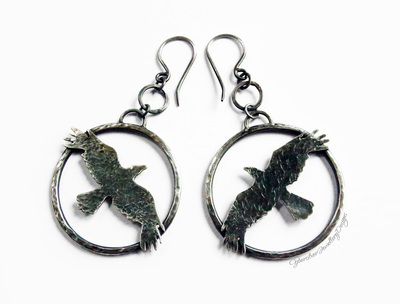 Eye-catching textured ravens set on chunky silver rings. They are entirely handmade from sterling silver and are designed to hang sideways (alongside the neck) rather than facing forward. The silver has been textured, oxidised and brushed and then sealed with a microcrystalline wax to help protect the oxidised surface. 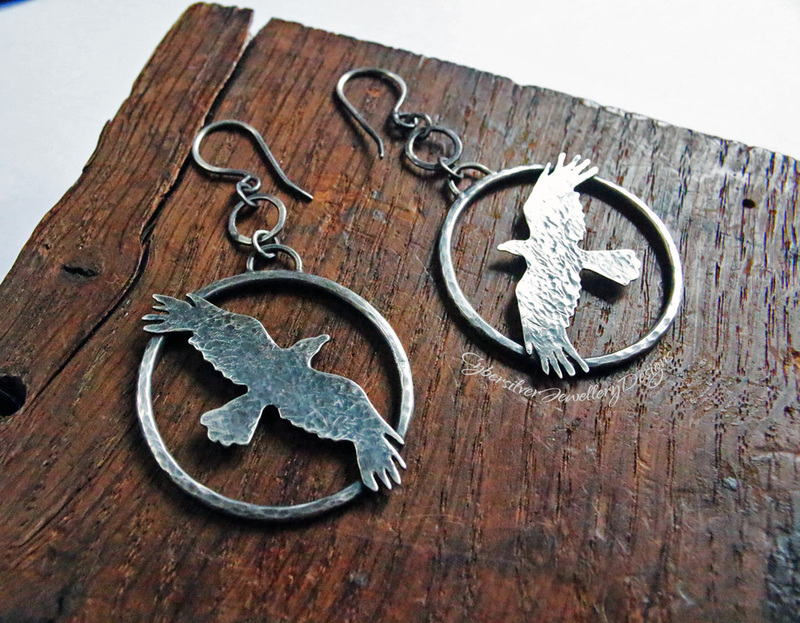 The handmade ear hooks are constructed from 1mm silver wire. 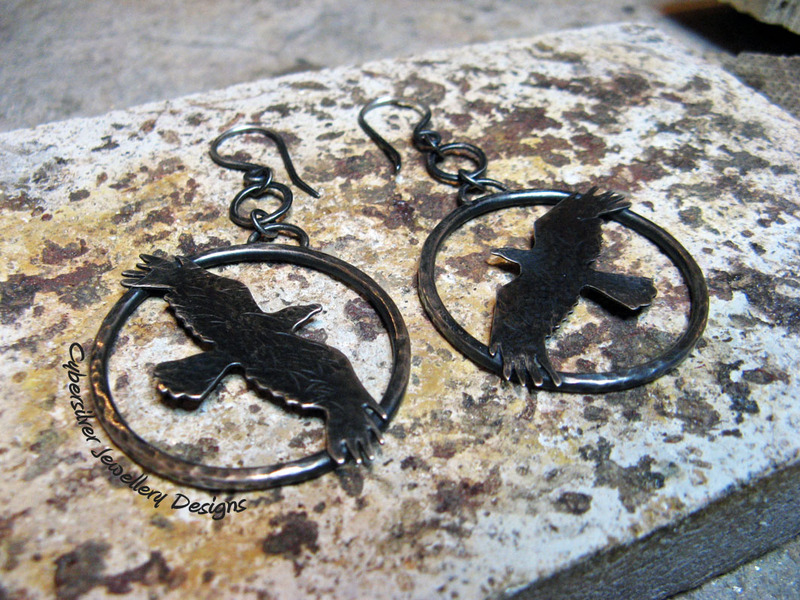 All joins are soldered closed to prevent any part of these stunning earrings coming apart or getting lost. Please note that each raven is hand-cut and therefore not identical.